Dr. Michael Angelis is a highly skilled, board certified surgeon, whose clinical specialties include kidney, liver, and pancreas transplantation. Dr. Angelis came to the AdventHealth Transplant Institute, formerly Florida Hospital Transplant Institute, from Tufts New England Medical Center in Boston, where he served as director of pancreas transplantation. He also served as Assistant Professor of Surgery and Clinical Assistant Professor of Urology at Tufts University of Medicine. Dr. Angelis performs operations and sees patients post-transplant to ensure proper healing is taking place. He received his medical degree from Jefferson Medical College in Philadelphia and completed his general surgery residency at the University of Hawaii, John A. Burns School of Medicine. Subsequently, he completed another residency at the University of Miami. At Jackson Memorial Hospital in Miami, FL Dr. Angelis completed an American Society of Transplant Surgeons approved fellowship in multi-organ transplantation. 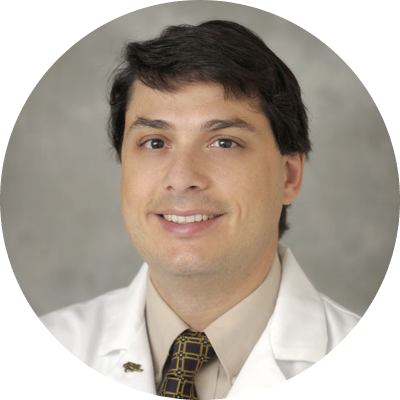 Dr. Angelis currently holds the position of Associate Professor in Surgery at both the UCF School of Medicine and FSU School of Medicine.